Home HEALTH DOCTOR PROFILES Dr. Benjamin Henderson, M.D. Radioembolization is a minimally invasive procedure that combines embolization and radiation therapy to treat liver cancer. Tiny glass or resin beads filled with the radioactive isotope Yttrium-90 are placed inside the blood vessels that feed the tumor. These tiny beads block the supply of blood to the cancer cells and deliver a high dose of radiation to the tumor, while sparing normal tissue. Radiation therapy uses a certain type of energy, called beta radiation, to kill cancer cells and shrink tumors. In embolization, blood vessels or malformations within blood vessels are blocked off to prevent blood flow. The combination of these two is radioembolization, wherein the microspheres (the tiny glass or resin beads) are placed inside blood vessels so that they can block the supply of blood to the cancer cells. Once these microspheres filled with Y-90 are lodged at the tumor site, they deliver a high dose of radiation to the tumor, while avoiding the normal tissues. Using x-ray imaging and a contrast material to visualize the blood vessels, the interventional radiologist inserts a catheter through the skin into a blood vessel and then advances it to the treatment site. The radiation-filled microspheres are then inserted through the catheter and advanced to the blood vessels supplying the tumor with blood. Once the microspheres are lodged at the tumor site, they deliver a high dosage of radiation directly to the cancer cells. The microspheres will block the flow of blood to the tumor, depriving the diseased cells of the oxygen and nutrients needed to grow. In patients with tumors in both lobes of their liver, this procedure can be done for one side and then the other. The radiation from Y-90 continually decreases over a two-week period and disappears after 30 days; however, the tiny microspheres remain in the liver without causing any problems. A native of Shreveport, Louisiana, and a Louisiana State University health graduate, Dr. Henderson earned his medical doctorate at LSU Health Science Center Shreveport. 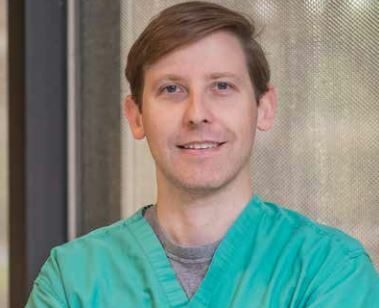 He completed his residency in diagnostic radiology at LSU Shreveport and then a fellowship in interventional radiology at the Medical University of South Carolina in Charleston.